Everyone who's watched Formula 1 in the last decade is acutely aware of a phenomena known as dirty air. The phrase doesn't apply to the smog of the Chinese Grand Prix, but instead to the tumultuous wake churned up by a Formula 1 car's intricate aerodynamics as it passes through the air. F1 cars rely on consuming a stable mass of air to produce downforce in the same way ballet dancers prefer not to perform on a floor of banana peels: A stable footing, literal or aerodynamic, is required for optimal performance. 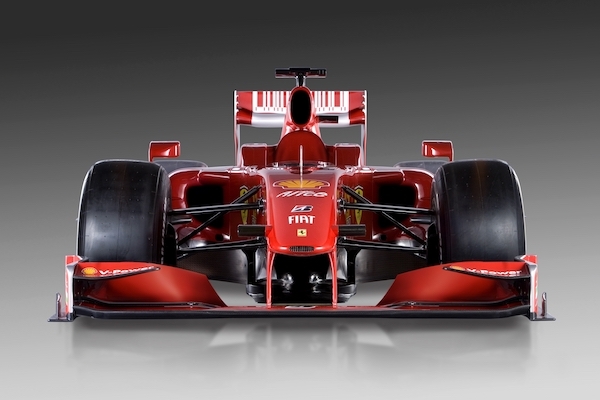 Because it leads the car through the air, the front wing informs the airflow for the rest of the car. Its importance has over the past decade forced an evolution, from simplistic wings whose aero elements can be counted on one hand into something you could see advertised by Gillette as a next-gen razor. Along with this creeping complexity comes a rise in sensitivity to dirty air, as illustrated during this season's Monaco Grand Prix. Red Bull Racing's Daniel Ricciardo catapulted from pole position into the lead of the race, which he maintained with ease for 28 laps until his engine's MGU-K failed, handicapping him with an estimated 210 horsepower deficit to the chasing Ferrari of Sebastian Vettel. By their powers combined, dirty air (and the tire temperature problems they exacerbated) weighed Ricciardo's competition down, allowing the injured Bull to lead the following 50 laps with a limp and take the race win. Monaco is a circuit that gives only the leading driver the opportunity to stretch their car's legs; dirty air is inescapable for following cars. 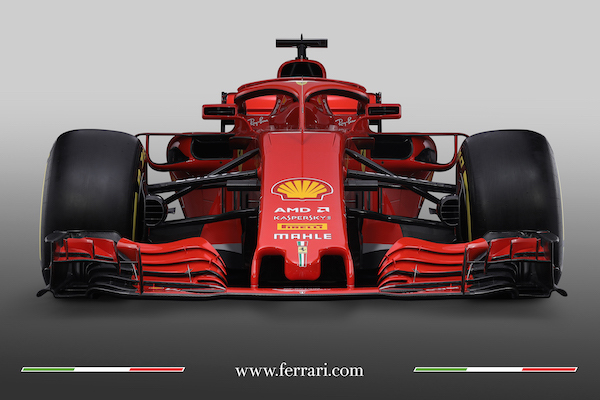 The FIA knows that aerodynamic overcomplexity hurts Formula 1, and acknowledge it to be one of the root problems of the whole dirty air debacle. They've even taken steps to reformulate aero regulations for the 2019 season in such a way that following another car from spitting distance won't interrupt downforce as much. The hope is that reduced downforce disruption and a more effective Drag Reduction System (DRS) will permit closer racing, which should in turn mean more overtaking. And who doesn't love more overtaking? The problem is the 2019-spec wings are a Band-Aid solution, and not a very good one. Even Ross Brawn has little faith. Make no mistake, a DRS with less drag will mean more passing in 2019, but let's not confuse quantity with quality. DRS's introduction in 2011 provided an average of 60.63 passes per race, according to Clip the Apex. That's a passing record that still stands. but 2011 was arguably the dullest season of that regulatory era. Throwing engineering teams a curveball by shaking up aero regulations and clipping downforce is most definitely not a reliable way to add excitement to overtaking. We know this because the overtake rates of 2008 and 2009, when the FIA enacted one of the most expansive aero ruleset overhauls in the sport's history, changed nothing. So, if wing downforce itself is the problem, then the solution is a simple. Reduce reliance on wings for downforce, and seek grip elsewhere. One knee-jerk reaction is to eliminate wings entirely, a reversion to the pure mechanical-grip days before Lotus introduced the winged Lotus 49B at Monaco in 1968. A reemphasis on mechanical grip was suggested by former FIA president Max Mosley in 2017 (Mercedes allegedly tried to sell a revival of active suspension to the FIA in January), but a comprehensive scrapping of downforce is on nobody's list of solutions to what ails F1, and for good reason: It's totally unrealistic. Fans of F1's unrivaled speed would disappear overnight, and the sport's less financially stable global feeder series structure would need to enact similar (expensive) changes to keep their racing relevant to Formula 1. The real way forward for Formula 1 may be found by looking at its American blood relative, IndyCar. America's premiere open wheel racing series this season updated its standard Dallara DW12 chassis with a new aerodynamic package that pruned its wings. More importantly, it increases the car's dependence on underbelly-generated downforce, which is thought to leave a lesser wake of dirty air than wings, and in theory allowing cars to follow more closely, and increase overtaking. Has it worked? The simple answer is yes: Overtaking is up 29.4 percent as of the Mid-Ohio race in July. But the complex answer is more telling. Prior to the Indianapolis 500, Autosport reported Scott Dixon and Marco Andretti's predictions of less overtaking. They were right. Successful on-track passes fell from 871 in 2017 to 633 in 2018, and the trend continued in Texas, falling from 933 to 688 year-over-year, though the trend did see reversal in Iowa, jumping from 378 to 955. F1, however, doesn't race on ovals, so speedway race stats can be cast aside. IndyCar's road course overtakes increased a whopping 77.1 percent in 2018 to an average of 203.5 overtakes per race, versus 114.9 in 2017. IndyCar's vice president of communications, Curt Cavin (from whom we got these statistics), attributed the overtaking increase solely to the new floor-focused aero package. In its past, F1 had its own fascination with floor downforce, and took the idea to its logical conclusion with ground effect cars from 1978 through 1982. Before you learn the why of Formula 1's ground effect ban, you must understand how it works, and to do that, you must understand how wings work. The Aerodynamics For Dummies explanation is that wings generate high and low pressure zones on their opposite sides; the high pressure zone tries to expand into the low pressure zone, but is blocked by the wing, which absorbs some of the force. Airplanes use this to stay aloft; race cars use it to do the opposite. Now reimagine the entire car as one big wing, creating a huge low pressure zone beneath it using air channels called venturi tunnels. Add skirts along the side of the car to seal the low pressure zone, and you significantly increase the effectiveness of the principles at work, all with relatively little drag, dirty air generation, or sensitivity to the wake of the car ahead. The catch is that if ride height changes too much in a corner—by scraping the floor on the asphalt, for instance, or raising the side skirt off the ground—downforce can disappear abruptly, and when you're cornering at almost 8 Gs, a sudden disappearance of downforce invariably means a crash. And high-speed crashes in the day of aluminum monocoques often meant fatalities. Then-governing body FISA watched as ground effect cars ratcheted up cornering speeds and led to lightning fast lap times. John Watson's pole lap for the Monaco Grand Prix in 1977—the season prior to ground effect's introduction—was 1:29.86. Carlos Reutemann's 1978 pole in the ground effect-pioneering Lotus 78 slashed more than 1.5 seconds from Watson's time, and Jody Scheckter would carve almost two more seconds in 1979. FISA panicked, banning side skirts for the 1981 season for fear of dangerously fast cornering speeds, correctly believing the metal chassis of the day to be insufficiently protective should ground effect fail in a fast corner. Its ban succeeded in slowing cars in 1981; Nelson Piquet's pole time for in Monaco retreated to 1:25.71, almost a second off Didier Pironi's 1:24.813 the previous year. Teams got clever again for the 1982 season, and Rene Arnoux took pole in Monaco with a time almost 2.4 seconds faster than in 1981. FISA gave up on regulating ground effect, and effectively banned it with its mandate that cars in 1983 onward would have flat floors. Venturi tunnels disappeared. In retrospect, it's easy to understand why FISA's ban of ground effect looked like the right decision for the time. Race tracks of the era were built to varying standards, not all of which were up to scratch for surface-sensitive ground effect cars, which themselves were often rolling dossiers of OSHA violations. At the time ground effect was banned, almost every team fielded a car whose underlying structure was made from lightweight, but sometimes flimsy aluminum. Every team except McLaren, that is: The MP4/1 used the first carbon monocoque in Formula 1's history. Competitors, seeing the virtue of next-generation composites, imitated McLaren. Almost every new car introduced in 1983 used monocoques reinforced with—or entirely composed of—carbon. FISA's crash safety concerns were rendered obsolete by carbon composites, which arrived a year too late to save ground effect. There's no way to say with certainty that early carbon monocoques were significantly safer than the aluminum honeycomb monocoques they replaced, but what's clear is that both may as well be eggshells compared to Formula 1 cars of today. Crash-tested survival cells encase drivers, who wear ballistics-rated helmets secured to HANS devices while sitting underneath "halo" crash structures capable of supporting the weight of a bus. Could the driver of a modernized ground effect Formula 1 car survive a crash at full qualifying tilt? Without a doubt. Would such a crash even be likely? Plenty of doubt. Today, F1 turns up its nose at circuits other than those deemed "Grade One" by the FIA. Requirements for Grade One circuits are kept secret by the FIA, but surely involve pasture-proportioned runoff areas, impeccable tarmac quality, and barrier construction—none of which were of much concern to FISA in the late '70s and early '80s. If the safety of ground effect cars in F1 is no longer a concern, and IndyCar's foray in the direction yielded positive results, then why shouldn't F1 look back toward ground effect as a solution to its racing woes? With his vantage point, Ross Brawn can surely see the good that's come of IndyCar's pivot toward floor downforce. With his influence over the sport, he can direct F1 to follow IndyCar's footsteps. Other influential figures can use their voices to change F1's technical direction, starting with 2016 world champion Nico Rosberg, whose father Keke won a world championship of his own in 1982, the final year of ground effect cars. "I was looking at my dad's car, and it's all ground effect. The aerodynamics are under the car. They could follow each other in the gearbox all the time," said Rosberg in May, according to Motorsport. "They have to go into that sort of direction, and hopefully they'll manage [it by] 2021 at latest, because that what's we all need, for the fun." Opposing claims from Team Principal Christian Horner, Alonso says he's been offered a contract by the team twice in 2018 alone. The American open-wheel driver had his troubles in F2 and is set to contest the final two IndyCar races of 2018. Fast-but-flawed Vergne last raced in Formula 1 with Scuderia Toro Rosso in 2014. Facing a talent deficit, the team reportedly wants him back for 2019.